A lot of men suffer from the embarrassment of having a dark neck. The black lines and dark spots or patches make your skin look dirty and unattractive. It's even worse for those who have fair complexion, theirs are more noticeable. Among the primary causes of those condition are skin allergy, eczema, friction (from shirt collar), thickened skin, sunburn, and dry skin. 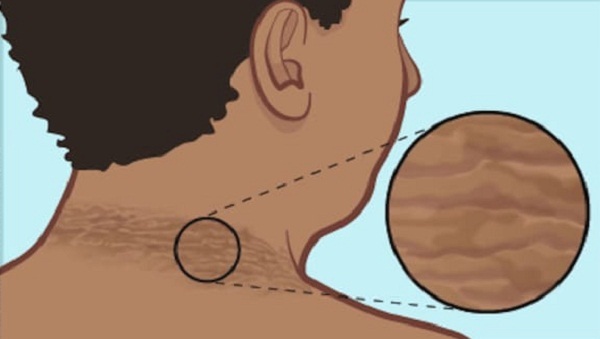 Sudden weight gain may also result to dark discoloration on the neck. "Increase in body weight may cause fat deposition around the neck and nape. This will initially result in skin redness which will later become pigmented skin," explains Dr. Joanne Rebullida-Captuero, dermatologist at Aesthetics 101 Dermatology Clinic in Quezon City. 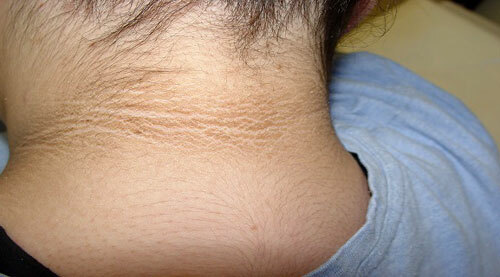 In worse cases, increase in body weight may result in acanthosis nigricans. "This is the velvety, grayish, thickened skin around the neck and nape areas because of too much insulin production when a person is overweight, obese or has diabetes." It feels dry, rough, and sometimes itchy. Dr. Rebullida-Captuero adds that it's a common condition to Asians as our skin contains more pigment, thus, minor skin injury may result to darkly pigmented skin. "Commonly, people would scratch the area producing friction and small wounds. The friction, small wounds, and skin diseases, when the initial redness subside, causes our skin to be darker than our usual skin tone, and become thickened." There are few home remedies that can be used to lighten the area such as lemon juice, cucumber, yogurt, oats, and baking soda. Our skin expert warns that the results are inconsistent, though. "Some people find it effective but for some it has no effect. 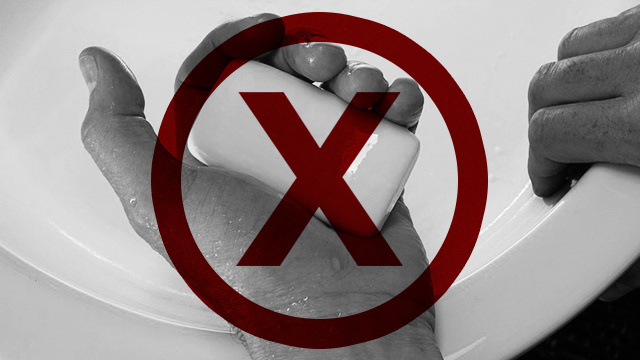 Some may also experience skin irritation and allergy." You can opt for creams or lotions containing hydroquinone, kojic acid, azeleic acid, arbutin, soy, tretinoin, says the dermatologist. "Using a combination of these creams is found to be more effective. For those patients who have acanthosis nigricans and obesity, they are recommended to lose weight first to improve or eliminate the dark nape." If you can't wait for months and want visible result sooner, Dr. Rebullida-Captuero recommends undergoing dermatological procedure, specifically chemical peeling. "Improvement is usually seen after four weeks of treatment and will continue to improve." This treatment is done per session and price ranges from P1,000 to P3,500. But before you undergo the treatment or apply anything, it's still best to consult a dermatologist. "Your dermatologist will help you treat the underlying cause then later recommend lightening agents that will be suitable for your skin," Dr. Rebullida-Captuero advises. You may consult with Dr. Joanne Rebullida-Caputero, MD, FPDS at Aesthetics 101 Dermatology Clinic in 1152 E. Rodriguez, Sr Avenue, New Manila, Quezon City.